This Nacchera Table Lamp from Heathfield & Co shares a wonderful simple elegance of the split hemisphere design with its brother the Nacchera Floor Lamp and other lights in the Pearl range. 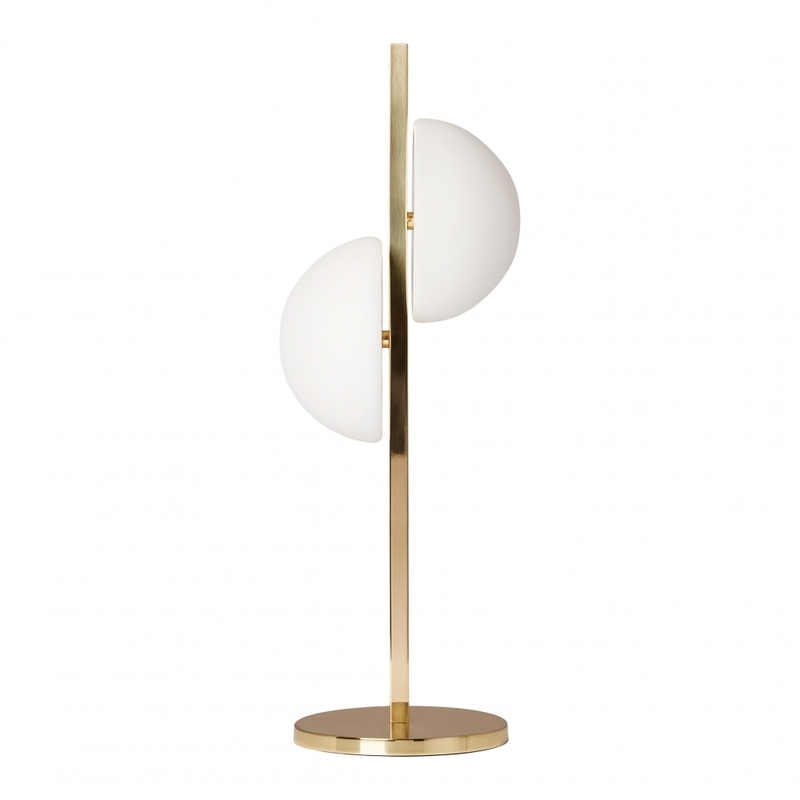 They each call on nature’s wonder of the Pearl as inspiration for the light covering itself and contrast with clean brass in thin support forms reflecting the spheres with a circular brass base. Perfect elegance in the form of a strong tip-of-the-hat towards Art Deco which means it will suit many a contemporary style with ease.